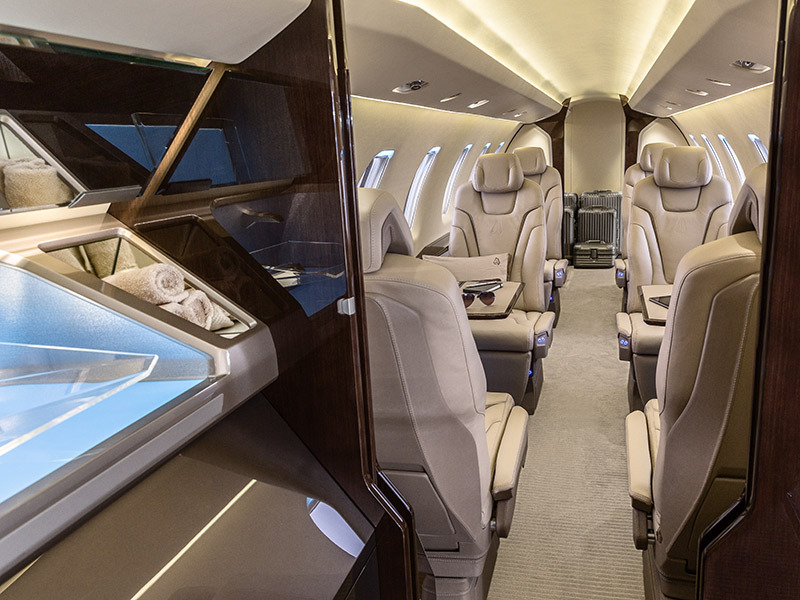 Visitors at EBACE were shown the newly announced cabin interiors for the aircraft. In conjunction with Pilatus, Designworks, a BMW Group Company has created six stylish color concepts for the PC-24 – each named after a well-known ski resort. The various color worlds were inspired by the shades of nature found at each location, and have been chosen to convey a feeling of luxury and security. 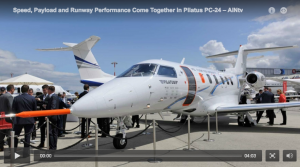 Much like the extremely successful Pilatus PC-12, the PC-24 cabin is accessible via a forward airstair and aft cargo door, making loading and unloading a breeze. The 501 cubic foot cabin has a continuous flat floor, fully enclosed, externally serviceable private lavatory, and is lined with thirteen extra-large cabin windows allowing ample natural light to fill the space. With multiple easy-to-reconfigure layouts to choose from, including a double club option, the cabin can be quickly be arranged to meet individual needs. For more information from the show, watch a video from AIN online here. Contact a Skytech representative for more information on this fantastic aircraft. This entry was posted on Wednesday, June 1st, 2016 at 2:37 pm. Both comments and pings are currently closed.